"This is the worst thing in the world," announces pop superstar and accidental internet meme Rick Astley. 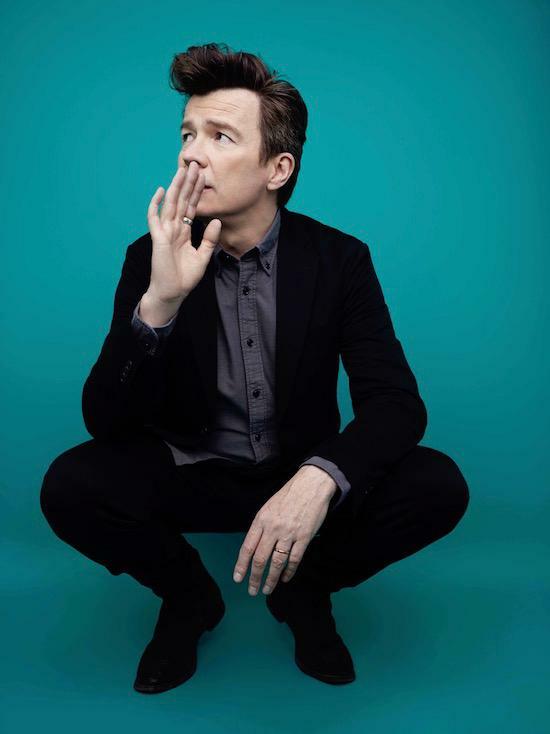 We've just sat down in an opulent Soho eatery to discuss his thirteen favourite albums but the concept of this Baker's Dozen carry on doesn't sit so well with Astley. "I mean, it's impossible to pick thirteen albums," he continues. "It's problematic. I'm 52 and that's a lot of years to have been listening to a certain record. But this list? It could change at any moment. All I did is I went through my phone and then got my laptop out and eventually said to myself 'just think for a second – what would I listen to right now? But the thing is: I won't be able to remember anything about any single one of them." But don't get me wrong. Astley is wonderful, effusive company and, in person, is more Rick Astley than I ever could have imagined. He has a new album out, Beautiful Life, which behind the anodyne song titles is an accomplished and often galvanising slice of sophisti-pop anthems. His voice remains the most stirring instrument throughout. But what strikes me most about Astley is his conversational habit of not just swerving off course mid-sentence but leaping off into an entirely different and apparently unconnected recollection before righting himself with a puzzled query to himself: "What am I actually talking about? What does this have to do with anything?" So, rather than getting a potted history of his first encounter with his favoured albums, Astley pre-warns me of his propensity for discursive chat. "I'll tell you right now that if someone asked me the name of one of these albums, I wouldn't even remember. I mean, how many albums are there in the world?" But he retains an almost naïve curiosity about musicians and the recording process which he expresses in regular headshakes of disbelief at the mere thought of seeing The Smiths, listening to Tori Amos while jogging through a park in Richmond or realising his sound engineer also did sound for prog rock heroes Camel in the early 1970s. 'The Good Old Days', the final track on the new album, is a homage to the musical influence of his elder siblings and references the other major prog obsessions of his youth, Rick Wakeman and Yes. And our chat extends beyond the allotted time into even stranger territory: the differences between a Cork and Belfast accent and the tragic career of TT racing superstar Joey Dunlop. When I ask him for a picture at the end, he innocently enquires whether I'm requesting a picture of him on his own. "No, no, a picture of the two of us," I insist. Unquestionably, I've been charmed by Rick Astley.